If you've arrived at this page from outside the Ocean Cooperative web site, the menu bar on the left may not be visible. Click here to see it and learn more about OCP. "Our main challenge for now is to help authors distinguish the cooperative concept from the self-publishing companies - and from traditional publishing models. We may eventually phase out cooperative publishing, but I don't see that happening right now. No publisher can expect to serve their readership by publishing two books a year. That's why this new model is so compelling." 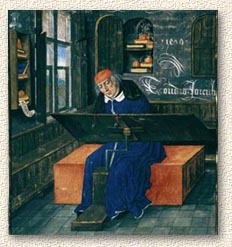 Authors in former times often oversaw the printing and distribution of their own books, but the last two centuries have witnessed the paramountcy of the commercial publisher, whose business it has been to organize various services under one roof: choosing and editing manuscripts, designing and typesetting books based on those manuscripts, printing the books, then distributing them and promoting them - all time-consuming and costly. Given the commercial risks, only a minority of authors could hope for acceptance by such a publisher. Now, as the 21st century gets underway, we find ourselves in the early stages of a technological revolution. Amidst all the clamour about digital publishing, not everyone is aware that this revolution has affected real, physical books too - reducing the cost of production and enlarging the possibilities for distribution and promotion. The editorial and artistic skills that publishers have always called upon remain irreplaceable, but the paper publishing universe has entered a state of flux that has no equal since the invention of moveable type. More on all that at The Publishing Landscape, but let's get down to present cases. We're cooperative publishers. We publish and distribute books in North America, the U.K and Europe in partnership with our authors. We'll probably never be able to accept every manuscript submitted, but authors who are accepted by OCP enjoy the same range of skills and services offered by publishers of long standing. These may - or may not - begin as a direct relationship with an editor and go on to include everything author and publisher require to see a title published. We're a cooperative publishing house because, like many small publishers today, we can't afford to do this alone, not even for our qualifying authors. We do not however apply for or accept government grants of any kind but rely instead on our own time, money and effort - and on our publishing partnerships with our authors and their sponsors. Behind Ocean Cooperative Publishing stands me, Robert Buckland, and The Business of Words - one of the oldest literary and academic editing services on the internet. What Types of Books are Eligible? You're an academic with a book manuscript or thesis you believe deserves exposure. You're the author of a novel, a collection of short stories, a miscellany of essays. Your advisors, friends or family think others would enjoy your writing. You've produced a spiritual or self-help guide that is helping no one while it sits in your desk drawer. You've written a book for children or a personal or family memoir. Perhaps you're merely planning to complete such a book. In every case, we invite you to submit your work to Ocean Cooperative Publishing for consideration. You have nothing to lose and everything to gain. It's your readers - not a reviewer or committee - who will ultimately decide its worth. If you are a painter, photographer or work in the visual or plastic arts and have dreamed of a book devoted to your work, the work of your group, or the work of an artist you support, you'll want to read about our EyeStorms Books imprint and the Bright Harvest series. Who is OCP Publishing Right Now? Just out of the gate this spring are three new books, published under the OCP imprint, Encompass Editions. Three more titles are scheduled for release this summer. Go here to visit the Encompass Editions web site. Return to this page by using the back button on your browser. The Launch program is a cooperative partnership between Ocean Cooperative Publishing and authors whose work we accept for publication. Here follows a short description of the service elements OCP delivers as part of the program. Have a quick look through, then, if you'd like more detail, go to An Author's Agreement. As your publisher, we will commission the professional design of your cover and inside materials. However, as a cooperative publishing partner, you can instruct OC to execute your own concept or use your artwork or other materials: We will follow your instructions. There's no set limit on graphic concept and OC provides over 30 size formats in paperback, hardcover and color. As your publisher, we provide PDF and paper proofs at no charge. This is the step once described as "typesetting" but in fact it includes much more. Layout determines the look of your book and makes the difference between mediocre production-line stuff and a beautiful object to hold and read. As part of the Launch program, your book will be prepared for press by an experienced technician and designer who is trained to avoid the many pitfalls that can bedevil the layout process. The result will be professional in every sense. 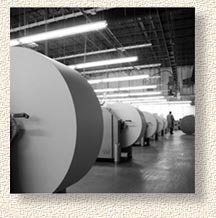 Print-on-demand technology has revolutionized the publishing world. As cooperative publishers, we no longer need stock thousands of copies, but on twelve hours' notice or less we can ship as many or as few copies as are required. We produce our books to technical standards that rival or exceed those of traditional industry publishers. And your book - the book you worked so hard to write - need never end up in the remainder bin. What you or we or our distributor sell, OC produces. That's the beauty of the revolution. Many new authors are unfamiliar with a key publishing truth: no one can buy a book if it's unavailable. Ocean Cooperative authors enjoy distribution through these major book outlets: Ingram, Baker and Taylor, Amazon, Barnes and Noble.com, NASCORP. The distribution channel of Ingram guarantees that your book always appears as in stock and available to all Ingram customers - more than 30,000 wholesalers, retailers and booksellers in over 100 countries. And as the OC imprint develops its list, all OC authors benefit from the company's growing clout with distributors and sales outlets. Let us be perfectly frank. Promotion - a form of advertising - is expensive, whether in terms of time or money. The costs of promotion are a major factor in drastically limiting the number of submissions traditional publishers can accept. When Penguin Books says, "No Unsolicited Manuscripts", the company is not trying to be heartless to new authors. Its management is simply admitting that the company cannot afford to promote more than a limited number of titles. OCP's mission is to help break through this economic barrier by providing our authors with an authentic publishing platform and harnessing our authors' own motivation and resources to build on that platform. Since OCP books are never out of print, promotion through word-of-mouth, through blogs, ads, speaking engagements, local bookstores or community events is an cumulative process. But before that begins, and as part of OCP's Launch program, we give every new title a promotional boost by featuring it on the web sites devoted to our imprints (Encompass Editions, for example) and issuing press releases through recognized wire services that draw attention to these pages. With your book available to booksellers everywhere, you can promote it with confidence, purchasing copies at the lowest publishing price possible but only as many as you want and only as you require them. Meanwhile, your author's royalties from distributed sales through Ingram, Amazon and major on-line retailers will be considerably higher than those offered by publishers employing traditional business models. 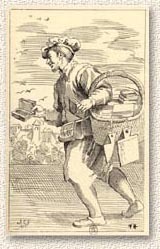 When authors are accepted for publication under the OC imprint, they surrender none of their rights as they often do with traditional publishers. You as author retain full control of all rights, including copyright and rights to film and other media derivatives of your work. You also own outright the design and editorial work of our OC team. 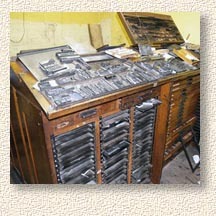 Traditional publishers often require a year or two to move books through their system from contract to delivery. It depends on your book, of course, and your own requirements as author, but OC generally manages to ship within 30 days of our signing a contract. As your publisher, Ocean Cooperative obtains national and international registration of your book, including ISBN numbers, a commercial barcode and applicable Library of Congress or National Library of Canada listings. Again, all this is laid out in greater detail in An Author's Agreement. The Launch program may be all a book needs to meet your and our requirements for success. But authors often ask about a range of editorial and promotional help and even additional design work. We provide this at our cost. Although editorial input is not included in OC's Launch package, you can submit your manuscript and, if it meets OC standards, see it progress all the way to book design, production, distribution and sales without editorial help. Unfortunately, we can't accept every unedited manuscript for the Launch program (see "The Ocean Cooperative Selection Process", below), but we can guarantee publication of every manuscript when you, the author, have worked with me, your editor, on editorial problems that might otherwise make your book unpublishable. As to simple copy editing and proofreading, we'll offer you the best advice we can to enable you to perform these jobs yourself under the Launch program. Or, of course, we can apply our expertise as part of the The Business of Words editorial service. The Launch program allows up to ten hours of our designer's time without additional cost. This is normally more than enough to satisfy all concerned. But in exceptional cases, where more elaborate cover or interior work is required, our designer is available to you at a discounted hourly rate. Our distribution network and promotional program is designed to get our books underway. But book promotion is an intensive and ongoing challenge to every author and publisher. Ocean Cooperative can act as your promotional and public relations consultant to keep this process moving forward. Ocean Cooperative cannot accept every manuscript submitted. We do give every manuscript careful consideration and where possible make recommendations that we hope will be of service to prospective authors. Writing is a process, a book is a considerable undertaking, and we encourage all authors to make future resubmissions as their project develops. 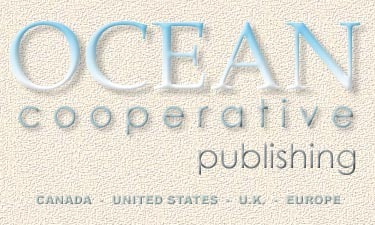 If you as an author, or the author you are sponsoring, is accepted for publication by Ocean Cooperative, your financial contribution under the basic OCP Launch program is US$895. All other costs entailed in the set-up of titles accepted for publication are borne by OCP. After publication, in cases where our authors wish to purchase copies for their own purposes, the cost per book to them or their representatives is the lowest available anywhere. But OCP authors are not required to purchase copies under the Launch program. OCP titles are generally wholesaled through OCP's distribution network -- Amazon.com, BarnesandNoble.com and the others -- and our authors automatically and regularly receive royalties based on the difference between the price they establish and the production price they pay OCP. Overall, OCP's Launch offers a level of interactivity and accessibility that is not always offered in the models employed by traditional publishers. At the same time, our author/partners' contribution to the cooperative venture is less than writers are currently paying various self-publishing companies such as Xlibris and AuthorHouse to produce their books. I won't go on further about the difficulties most writers face in finding a publisher. The dreaded spectacle of the slush pile, that vast heap of unsolicited manuscripts that we imagine teetering dangerously in young sub-editors' back offices, is sadly not far from the truth. The good news is that, in recent years, titles published by small companies such as OCP have proved effective tools for drawing the attention of larger publishers. And unlike many publishing contracts, your OCP Author's Agreement does not restrict you or your agent from reaching a publishing agreement with a larger company. I hope this is the beginning of a memorable experience for you. There are few greater pleasures for any writer than seeing her or his book in the hands of another person. If you've arrived at this page from outside the Ocean Cooperative web site, the menu bar on the left will not be visible. Click here to see it and learn more about what I may be able to offer.